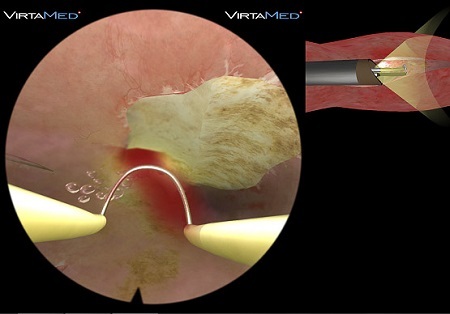 After completing the diagnostic and therapeutic endoscopy training on VirtaMed HystSim™, residents know how to take a proper biopsy, how to remove polyps with scissors or a grasper, and how to handle challenging cases, including, but not limited to, a fundal septum, multiple and intramural fibroids, and intensive bleeding. 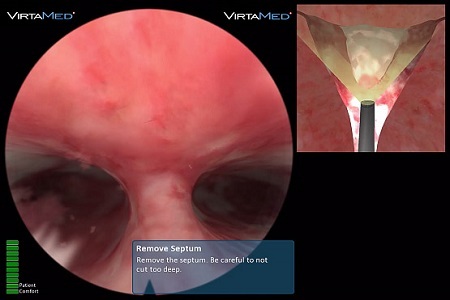 The VirtaMed essential hysteroscopy skills module uses SimProctor™, a new simulator feature guiding the trainee and giving hints, tips, and tricks to improve performance. Ghost tools show the correct position of the instruments, and step-by-step instructions teach the correct approach. Learning goals include diagnostic skills such as gaining access to different uteri (anteverted, retroverted, or nulliparous cases), manipulating uterine distension for a clear view, or screening the entire uterine cavity for pathologies. Also, operative interventions can be trained: how to take a proper biopsy, remove a small polyp with grasper or scissors, or treat synechiae. 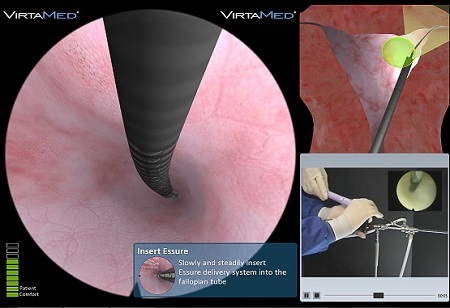 32 virtual patients with varying pathologies, and cases with different levels of difficulty offer a comprehensive endoscopy training. Fibroids, which appear in various locations and sizes feature in the HystSim™. Hysteroscopy courses teach how to establish uterine distension, clear viewing conditions, and how to safely handle loop electrode and rollerball for resection, coagulation, and ablation of the endometrial surface. This module contains patients with more serious gynecologic pathologies, including multiple polyps in one patient case, intramural fibroids, uterine adhesions, or a septum. Learning objectives include coping with multiple pathologies and removing them in a safe and efficient manner,as well as re-establishing an intact uterine cavity. 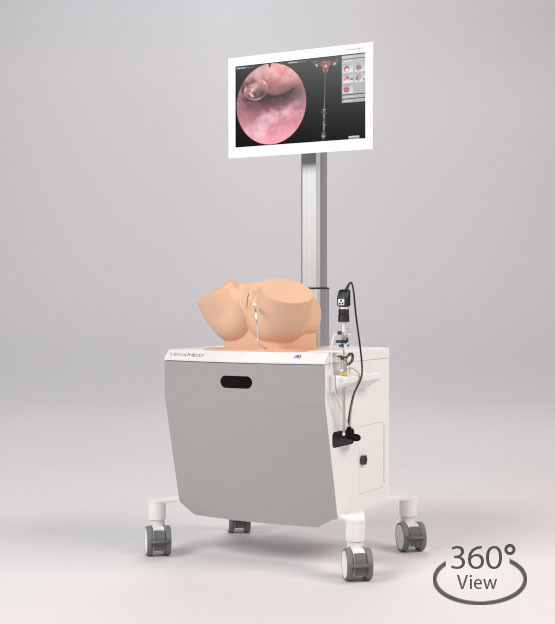 More advanced endoscopic techniques can also be trained. For example, reducing the fluid inflow leads to a reduction of uterine distension, allowing the intramural parts of fibroids naturally to expand into the cavity for easier resection. Trainees gain experience in safely and efficiently placing Essure® micro-inserts using a hysteroscope with working channel and the original Essure® handle. 8 endoscopy training cases include anteverted and retroverted uteri, as well as various ostia configurations. Distention difficulties, false passages and tubal resistance allow complications to be practiced without patient involvement. A unique patient comfort scale gives immediate feedback on the condition of the patient. 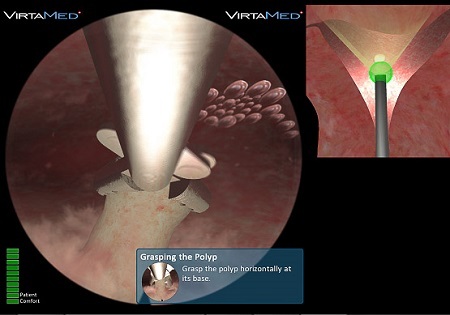 VirtaMed HystSim™ is available on different platforms: on a Simball platform for visual tracking only and on a pelvic model, which also provides realistic tactile feedback. Both can be mounted on a nice display cart with high-end PC and height-adjustable 23” multi touch-screen or can come as a stand-alone version for mobile use at conferences or during trainings. 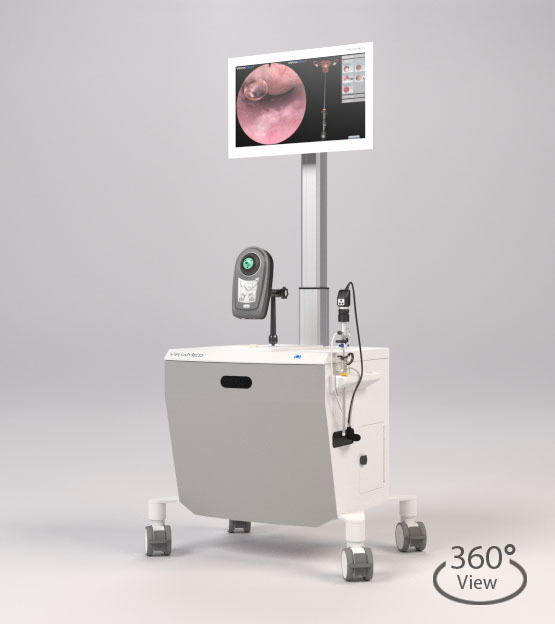 Each platform uses an original hysteroscopic scope, with working channel if needed, and other endoscopic instruments such as micro-grasper and scissors. To facilitate familiarization with the original instruments, the scopes feature in- and outlet valves for fluid handling, different cameras (0, 12, and 30 degree optics) and different working elements for electrosurgery or morcellation - just like in real life. Even the foot pedals for electrosurgical cutting, morcellation, or coagulation are included and function exactly like in the operating room.